It is undoubtedly true that the first truly global star of cinema was Charlie Chaplin. In the early twentieth century the London born actor, director, writer and composer was the most famous man on the planet and it is arguable that his creations sculpted the romantic formal style of the Hollywood movie system; he is perhaps the main reason why the newest of all art forms gained and sustained a mass audience in the early years of motion pictures when the gimmickry of the medium had begun to die down. Indisputably, he is one of the most influential and recognisable of all popular performers in the last hundred years. Watching Chaplin at his finest, it is rather incredible to note how passionate and sincere many of his performances and films really are - an untroubled tear duct upon viewing the enforced separation of the Little Tramp and the titular character in The Kid must be as rare as a movie of that quality, the final speech in The Great Dictator has the power to shock and inspire like few other monologues ever written, and only the most jaded of hearts would remain stoic upon hearing his glorious composition Smile. 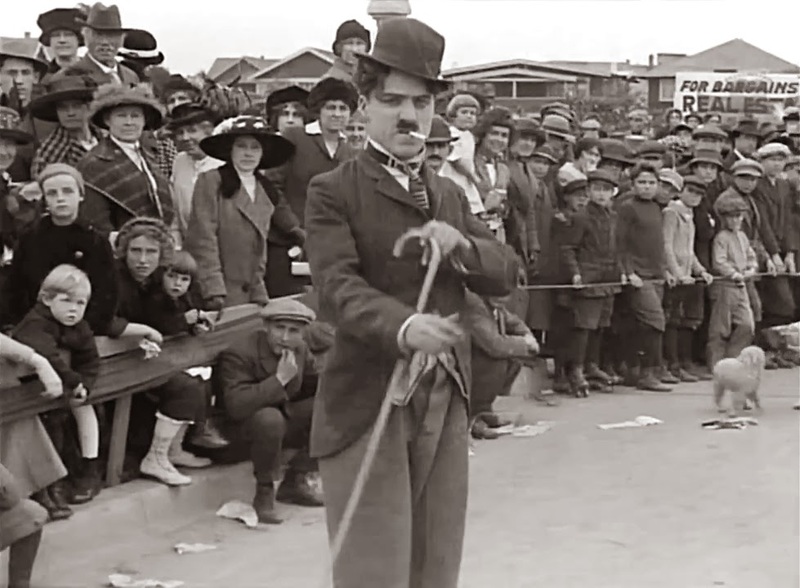 So, as the Little Tramp character turns 100 year old this month, it is alarming to see just how unfunny the first public release featuring the iconic creation truly was and how incredibly primitive, even for its time, Kid Auto Races at Venice was too. The premise for the short is a simple one - a camera is on hand to record a race and a vain and narcissistic Chaplin keeps trying to put himself in the centre of the frame and steal the attention from the race taking place around him. For the most part, this means following the camera as it pans. Little occurs aside from this, with an exception in which Chaplin is almost missed by an oncoming automobile, and the production feels like something of a rush job (which I'm quite certain could be historically backed up). It is astounding to think of what Chaplin would achieve after this point but the romance and sentimentality of his greatest works are nowhere to be seen whilst lazy directing and a lack of plot are in plain sight. A film for Chaplin completists only.